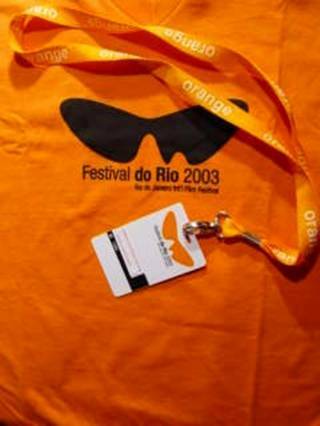 The Rio de Janeiro Film Festival, held each September/October, exists for just one reason. To show that all the works of man and woman are chaff in the wind of Nature when she puts on a show. Here is the world’s most beautiful city, a rock kingdom cradled among gleaming seas. Its lordly glamour ensures that only the deserving arrive safely – lesser mortals can jet on to cheap imitations like Mar del Plata or Buenos Aires – so flying down to Rio is a dangerous business. Fred Astaire and Ginger Rogers first did it 70 years ago and lived to dance the tale. Today some airlines, though not British Airways, still offer chorus girls perched on wingtips as a bonus as one swoops low over Sugar Loaf Mountain. From this bird’s eye view, up among the eagles, you see that Rio de Janeiro is not so much a town, more a jewel compacted of impossible realities. The ‘other Rio’ is instantly visible: all those favelas clinging to mountainsides, those beetling slums built on screes of poverty and overcrowding. But there is something defiant even about this display. The slums are part of the scenery and spectacle, even if they belong to a drama that should have been struck from Rio’s repertory. The management is trying to do that – has been trying even harder since CITY OF GOD. That was the movie that put the favelas before the world in a blaze of crime, violence and trigger-happy tragedy. New Brazilian president Luis Inacio Lula da Silva even took the film as his example of what needed to be reformed both in Rio and nationwide. CITY OF GOD’s makers, including director Fernando Meirelles, are now shooting a TV spinoff series, CITY OF MEN. Rio’s Favelaland is becoming big business. Another proof that the city captivates the imagination, from whatever direction you fly your imagination in. From the airport you arrive by taxi at Copacana Beach. Here are the tourist hotels. Here rich and poor jostle in the longest sea-resort promenade in Brazil/Latin America/the world, though song-famous Ipanema, the nextdoor beach (turn a corner through an intervening favela), must be a close second. 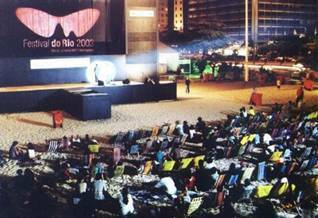 The film festival hoists its open air screen on Copacabana’s sands. Many is the happy hour. 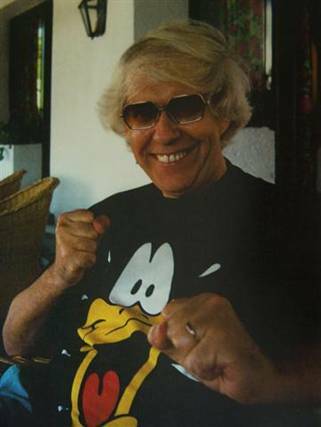 The winning flick in the Latin American programme – the only competitive sector at Riofest – was Eliane Caffe’s STORYTELLERS OF JAVE from Brazil: workmanlike whimsy about dam-threatened villagers inventing a colourful folk-history so that their hamlet can secure a preservation order as a place of ‘cultural interest’. But none of the fiction at Rio had great cultural interest. As elsewhere in the world, documentaries are moving in fast. You can’t be in this city or country long without wanting to know the Truth about the place. It has to be bigger than fiction, just as Brazil is bigger than any non-federated country in the world except China. Even CITY OF GOD, drawn from a 600-page verite ‘novel’, was fact thinly veiled as drama. So the docs are the big draws. This year they ranged from the do-it-yourself prison diaries made and collated by inmates of Carandiru jail (the infamous slammer, now demolished, that featured in Hector Babenco’s Brazilian box office smash CARANDIRU) in PRISONER OF THE IRON BARS, through zappy nonfictioners like LINGUA (LIVES IN PORTUGUESE) and FALA TU, respectively about the brotherhood of Portuguese-speaking lands and the loves and pains that underpin Rio rap, to the portrait of faith, hope and poverty in HOMELESS: ON THE FRINGES OF SAO PAULO. Best of the reality reelers, though, was Jose Padilha’s BUS 174. What make-believe could compete with the horror of a cop siege around a hijacked bus, a siege that ended in two deaths and a nationwide inquest into police incompetence? TV cameras actually rolled and broadcast when a Rio bus was seized on Valentine’s Day 2000 by a raving cokehead later revealed to have been a survivor of the notorious massacre of street youths outside a downtown cathedral a couple of years before. That backstory meant that police snipers couldn’t shoot him – he would become a folkhero and martyr – even when the ranting motormouth stuck his head through a bus window, more than once, while his own gun temporarily left the temple of his hostage-of-the-moment. (Half a dozen women aboard the bus took turns to be manhandled and terrorised). Padilha has collared all the TV footage and shows it up close and personal. The bombast of the captor, marching his sobbing armlocked victims up and down; the ‘pretend’ shooting of a kneeling woman cowering and whimpering out of camera view; the paralysis of marksmen and cops, whose chief’s ear is glued to a mobile almost throughout, as he is harangued (we’re told) by the state governor ordering him not to off the offender. The final showdown is ugly, unexpected and terrifying. A wrong bullet finds a wrong head, a near-lynching is averted by a grislier execution, and the clouds soon opened in Brazil to rain down drenching question marks on the authorities and their handling of the crisis. If this is a city in law-and-order chaos – and it is, Blanche, it is – here was a paradigmatic event, magicked into an irresistibly powerful film. What Do You Do On A Rainy Night In Rio? Silly question. It never rains in Rio. Or not much. Or seldom. But here are the options. Charge off to a samba school to see a full-dress carnival rehearsal by teams of rainbow-feathered dancers stomping to Latin music that will atomise your eardrums. (The samba rhythm is a tattoo inspired by the sound of a million Brazilian gods stomping on the floor of heaven). 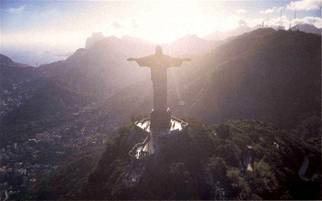 Or skim around nighttime Rio – its giddy lights, hot streets and flood-illuminated mountains – in a cheap taxi. In this country too every taxi driver tells you his life story. If you don’t speak Portuguese, he will supply a written translation. Or soak up the atmosphere and cocktail menu in a Copacana bar-restaurant where ‘all you can eat’ means all you can eat and ‘all you can drink’ means attaching a dripfeed supplied with Caipirinhas. A Caipirinha is cachaca – the last ‘c’ is silent and so will you be – poured over ice and sliced lime. Cachaca, a sugar cane brandy so strong you could ignite flamethrowers with it, is also good taken alone. The fires start in your throat and soon spread to all parts of your body. There is no sprinkler system to put them out. Except more caipirinhas. This is a country where hope and despair are part of the same 24-hour party. Could one live in a place where half the population is coming apart voluntarily, the other half involuntarily? Only spoiled First World brats have the privilege of even asking that question. By friends or hosts or simply by people who want, in all senses, to sober you up, you will be taken to a favela once in your trip. These slums seem friendly. They even seem – for all their exposed plumbing, crumbling breezeblocks, granny-knotted improvisations of overhead electrical cabling, starving dogs and higgledy-piggledy formation as they cling to semi-sheer cliffsides – half-habitable. (A TV in every parlour). But they can shoot on sight and the local industries are crime and murder. Rio cannot contain them; they are not going anywhere else; work out the end result yourself. Brazil needs a social miracle. Happily this is the land of magic realism, which means that the real and the magical actually can sometimes work together. Keep the faith. The faith, or one faith, is up there on a mountaintop. Cristo Redentor – Christ the Redeemer – welcomes you to the world’s greatest view, after a funicular ride through near-vertical rain forest where the trunks of jackfruit trees flaunt their baggy yellow fruit, surreal as a Dali painting (and ‘too sweet for me’, a lady told me) and railside workers, if that’s what they are, eye you grimly and expressionlessly as you pass. (Note the armed guard aboard the train). From the top, as from the top of lovely-vista’d Sugar Loaf, Rio looks like the dream of an impossible city. Nature and human beings have mapped out an estate for perfect paradisal cohabitation. It is too good to be true, far too good. But once again reality and unreality, livability and unlivability, and the impossibility of knowing where each begins and ends, are what this place is all about.